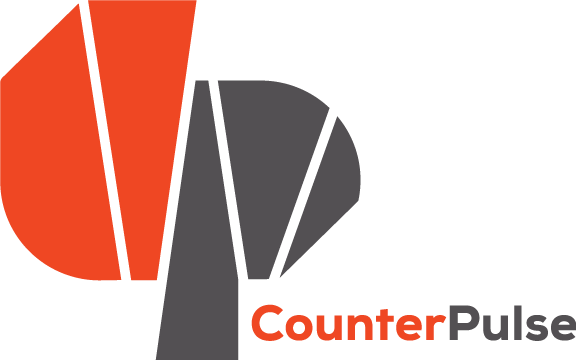 The Contact Improvisation Class and Jam takes place EVERY TUESDAY year-round at CounterPULSE. The class is sequential, but drop-ins are encouraged. The best learning experience comes from trying out the styles of at least 3 of our monthly teachers. CI deepens your flexibility, kinesthetic awareness, and choices for contemporary partnering. Explore the discipline and play of this dance form with both class study and jam practice. The jam is a no-music (quiet) jam. We recommend taking class before attending your first jam. In this series we will witness, intercede in, and play with the universal constant – Change. We will practice finding ground in a groundless dance. We will learn to track the ever-shifting support of our partners. We will use our variously fluttering attention to deepen the possibilities of interaction. We will learn tools for modulating and shifting our energetic states. And we will practice physical skills to change and open new movement pathways. All that in the context of embrace. The embrace of the moment. The mutual embrace of our partner. The embrace of this maleable form. Description and contents of this class are Subject to Change without notice. To read Daniel’s bio, click here. For more information about classes and the jam, click here.